How do I get my wine collection appraised and insured against natural disasters like hurricanes or earthquakes? Most homeowner’s policies cover theft or fire of your possessions to some extent, but you can start by requesting that a basic clause addressing wine be added to your policy. If you’ve invested heavily in your wine cellar—say, five figures or more—you should consider getting your wine collection officially appraised and insured. You’ll have to weigh the pros and cons considering what deductible you’re offered. Some policies offer specific coverage for breakage, spillage, faulty equipment and power outages (power outages seem to be the biggest problem for those with home cellars). Insuring a collection where earthquakes or floods are a risk factor may require an additional policy specific to those natural disasters. If you rent cellar space, consider coverage for wines stored offsite as well. Some policies are capped at a certain value, and others are based on bottle-by-bottle coverage. What makes the most sense for you will vary on your average value per bottle vs. the collectible gems you have. 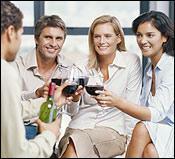 Insurance is better-suited to those who are more collectors than enthusiastic drinkers. The insurance company will probably get the process started by having your collection appraised by a professional, who will assess both the quality and security of your wine cellar. After that, you have a huge responsibility to take and keep accurate inventory of your wine, itemizing your bottles and sending updates to your insurance company regularly. The more documentation you can provide, the better.